Jollibee have five party food packages. 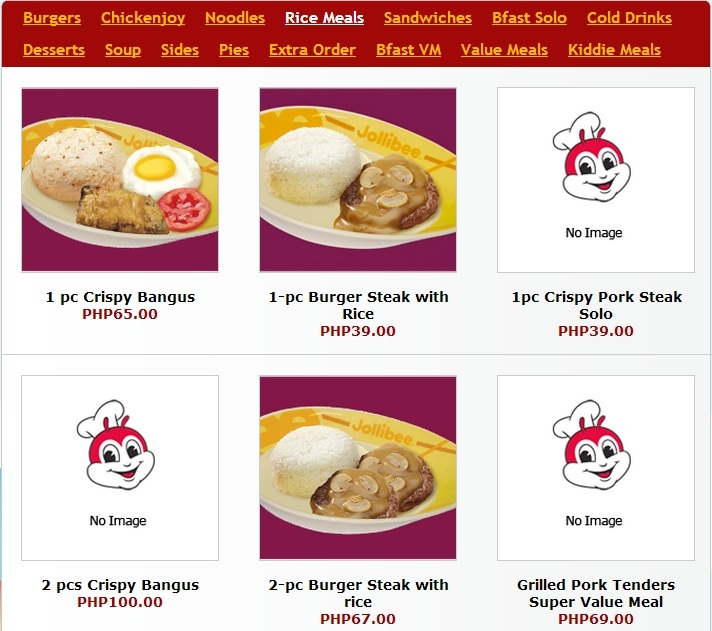 Four of the food packages were already pre-arranged so you will just have to select it when you are planning your party at the Jollibee Party website. What if you don't like the four pre-arranged food packages? The solution for that is to choose the fifth food package, which is the “Create-Your-Own-Meal” package. The “Create-Your-Own-Meal” package is a nifty option placed by Jollibee. It is good that the fast food restaurant took into consideration the choices of its customers. For this post, I will teach you how to create your own meal for the Jollibee party that you are planning. But before we proceed, please bear in mind that the total amount of meal that you assembled should be 4,000 pesos or above. For the whole procedure on planning Jollibee party, please read my post “How to Plan Your Jollibee Party”. Now, let us proceed on how to create your own meal for a Jollibee party. Click the “Click Here to Create Your Own Meal” button to go to the next step. You'll be then taken to a page where you can choose the food item that you want. 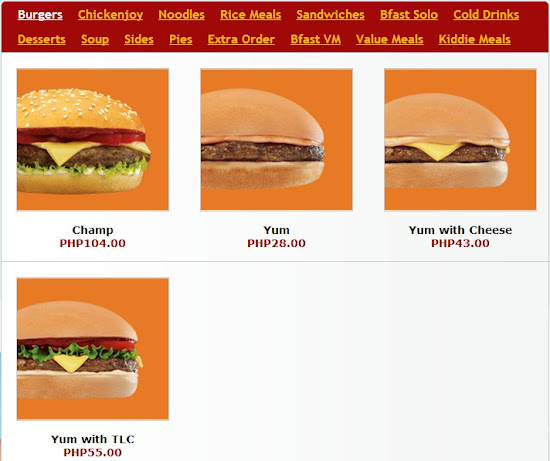 Jollibee allows you to choose food items from different categories. These categories are Burgers, Chickenjoy, Noodles, Rice Meals, Sandwiches, Breakfast Solo, Cold Drinks, Desserts, Soup, Sides, Pies, Extra Order, Breakfast Value Meal, Value Meals, and Kiddie Meals. Just for demonstration, imagine that you want to choose items from Rice Meals category. Click on the “Rice Meals” link. 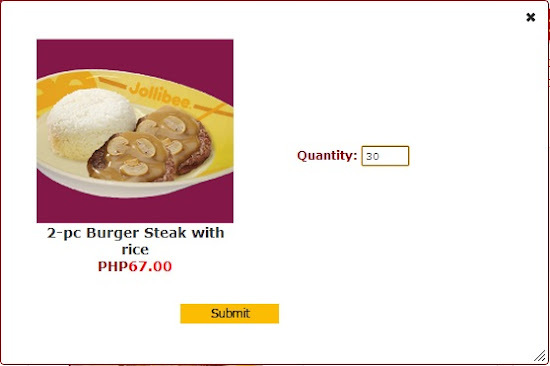 You want the 2-pc Burger Steak with Rice so you should click on that to go to the next step. Type the number of food item that you want to order. In this I case let us choose 30. You then click the “Submit” button. You then check on the total cost of the meals that you selected. Remember that the total cost should be 4,000 pesos and above. You have to choose other meals if the cost is still below 4,000 pesos. 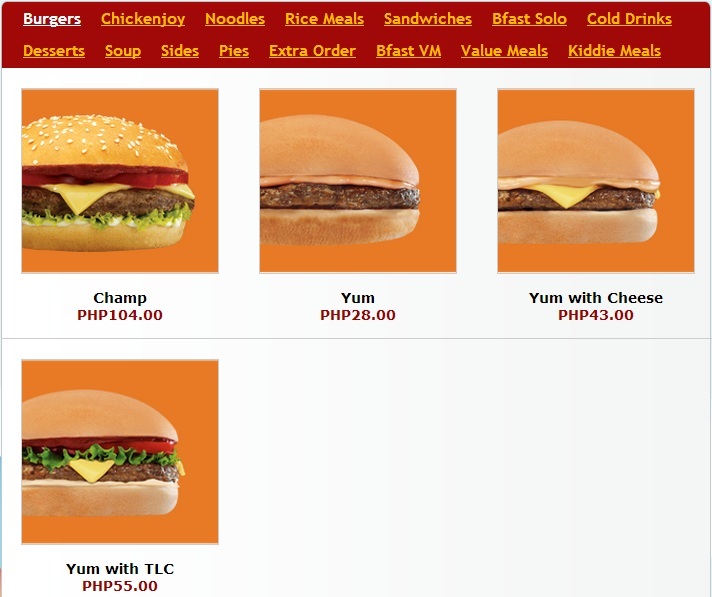 You can now proceed to the other steps in planning your Jollibee party once you completed the create your own meal part. Please go to my post, “How to Plan Your Jollibee Party” for the next steps. Want to know more about Jollibee party? Please visit my post about Jollibee party package brochures for more info.